merge archive pst files utility able to merge numerous pst files to single pst how to merge archive pst files and outlook factors into single unit? 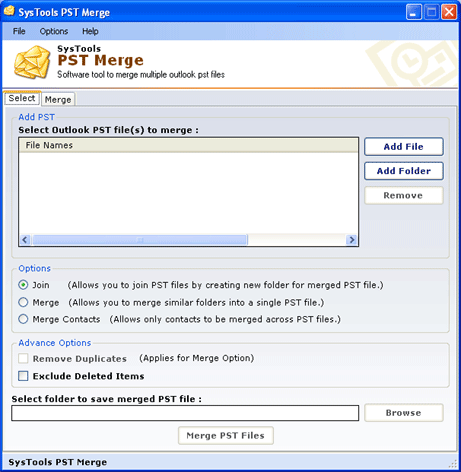 take pst merge tool and merge unlimited pst data files. by using merge archive pst files tool users can easily combine large number of outlook pst files into single one. though, you don?t need to open multiple pst files. you just open single files and send/receive data files on a single location. tool can merge the numerous pst (personal storage table) files of you outlook mailbox. it gives you freedom from multiple managements. enhance technical skills through demo versions. the free tool can combine three pst items frequently. so if you are happy with demonstration versions then you can easily place the order online. for personal licenses software you need to pay only $69 and business licenses only at $199. still, if have any doubt regarding this application then you can contact with my support team which are avail 24x7 at free of cost.